A quarter-century of sets, spikes and blocks have taken their toll on Pat Zartman. At 52, he realizes that the physical demands of coaching volleyball have begun to wear him down. "My body is starting to feel it," he said. But Zartman has no plans to hang it up, at least not until 2001. That is the year his youngest daughter will pass through the junior program of the South Bay Spoilers, the volleyball club Zartman founded in 1970. Once a club for college-age women, the current version of the Spoilers is made up of girls age 11 to 15. Zartman calls them the "second generation" of Spoilers because many have ties to former players in the club. "It's mostly just friends of daughters," said Zartman, a Hermosa Beach resident and teacher at Torrance High. "It's kind of a family-based organization today. "In the old days, we helped the players hone their skills for college and open the door for international play. Now the focus is on preparing them for high school and putting them in position to get scholarships." The Zartmans, the first family of Spoilers, demonstrate the deep roots of the club. Pat Zartman was the original coach and continues to help train the players. His wife, Sharkie, 44, was a player for 13 years, during which time the club won four United States Volleyball Assn. national titles. She now coaches the team for 11-year-olds, which includes the Zartmans' youngest daughter, Chrissie. Eldest daughter Teri plays on the Spoilers' team for 15-year-olds coached by Pat Zartman, and helped Bishop Montgomery High reach the State Division III final as a freshman last season. Perhaps the best example of the club's close-knit history belongs to Ann Corlett, who coaches her granddaughter on the team for 13-year-olds. Corlett was Sharkie Zartman's first volleyball coach at American Martyrs Catholic school in Manhattan Beach. Corlett's daughter, Denise, was an All-American at UCLA. The Spoilers have enjoyed a rich tradition, and there figures to be much reminiscing Saturday night when the club marks its 25th anniversary with an informal gathering at King Harbor Seaside Lagoon in Redondo Beach. "We've invited some of the old Spoilers back," Pat Zartman said. The list of former players includes "several collegiate All-Americans, national team players and high-profile people," Zartman said. Two of the biggest names to play for the club were Flo Hyman, a standout on the 1984 U.S. Olympic women's team that won the silver medal, and Elaine Roque, now one of the top players on the women's pro beach tour. The 6-foot-5 Hyman, a Morningside High graduate, died in 1986 from Marfan's syndrome, a rare congenital disorder usually found in tall people. Hyman and Roque, then a senior at Santa Monica High, helped the Spoilers win their first USVBA national title in 1977, in the open division. The club later won titles in the masters division (over 30) in 1980, '81 and '82. Zartman remembers that it took some coaxing for him to start the Spoilers in 1970. A football coach and teacher at Bishop Montgomery at the time, he was playing volleyball on an open team when he decided to give coaching a try. "Some girls came to me and asked me to coach them," he recalled. "Being a realist, I was good but not great as a player, but some of the girls had the potential to be national team members. The right thing to do was to help them. I decided to be a coach." 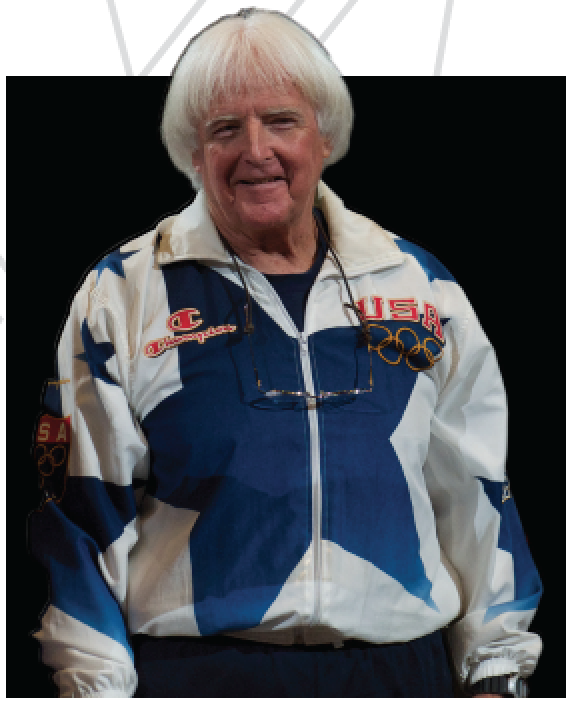 Aside from his successes with the Spoilers, Zartman was the U.S. women's national team coach in 1974, when he set up the year-round training program that is the model today for the men's and women's national teams. Zartman also coached the Los Angeles Starlights for a year in the Major League Volleyball Assn., a women's indoor pro circuit that folded after 2 1/2 seasons because of financial reasons. Zartman stopped coaching after the first season, in 1987, because of a salary dispute. Not to be outdone by her husband, Sharkie Zartman coached the El Camino College women's team to two state titles and nine conference titles from 1976-85. A former UCLA and national team player, she was named to the beach volleyball Hall of Fame last year. These days, the Zartmans' coaching expertise goes toward training their daughters and their friends. The Spoilers started a junior program in 1989 after years of operating a women's team. The season starts in January and lasts through June. "We wanted to coach our own kids," Pat Zartman said. "We felt we could do it more inexpensively. Most of our training is on the beach, which is cheaper, what with gyms getting so expensive (to rent)." Of the club's four teams, only one, the 12-year-olds coached by Karen Schulte, will compete in the Nike Volleyball Festival starting Monday at UC Davis. Last year, the Spoilers' 14-year-old team won the title, considered the equivalent of the national championship. Teri Zartman and Kristine Sigel, who plays for Mira Costa, led the 14-year-olds to the 1993 title and, more recently, earned a single-A amateur rating as a two-player beach team. "It takes more patience working with people who don't have skills or athletic backgrounds, but working with my daughters and their friends is probably the most rewarding thing I've ever done," Pat Zartman said. "As they grow up, I realize I'm not going to see them every day. "These are days I'm really going to cherish." Even if his knees do ache. ©2007-2017 brvc, LLC. All Rights Reserved.